Dr. Brown is the leading lecturer of the Step/Level 2 and 3 USMLE/COMLEX preparation courses at Northwestern Medical Review. 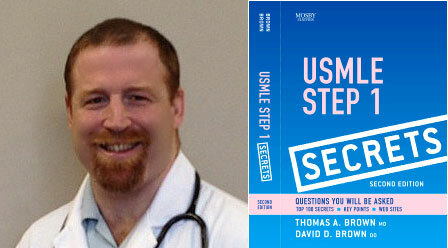 His greatest contribution to success stories of NMR students is due to his outstanding review book, “USMLE Step I Secrets”, that is currently included in the set of study materials that are provided to all NMR Step/Level 1 students. Trained as a hospitalist, he is also the associate attending physician of the Department of Medicine at the hospital of Central Connecticut. Dr. Brown has a superb background in internal medicine and basic medical sciences including biochemistry and physiology. His immeasurable zest for teaching and writing has increasingly provided the NMR clienteles with their utmost productive and memorable experiences during the two and three-day board review courses. Dr. Brown has authored three Step 1 and 2 USMLE review books of Northwestern Medical Review and two of his bookstore textbooks, Rapid Physiology published by Mosby, and USMLE Step 1 Secrets published by Elsevier, are among the best selling USMLE/COMLEX prep books in the world.